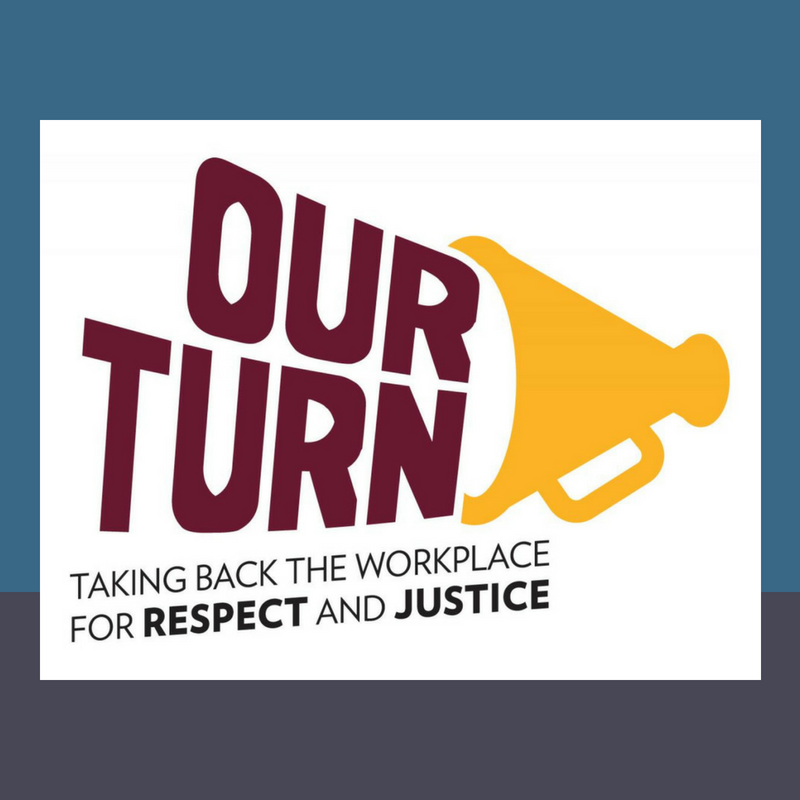 [OAKLAND, CA] – Today Worksafe joined with janitors, factory workers, farmworkers, and other low-wage workers to launch Our Turn, a new alliance to end workplace sexual abuse and harassment, with a special focus on low-wage and vulnerable workers. Our Turn will unite workers, community allies, and organizations across the country who are fighting for – and winning – new protections in union contracts, state laws, municipal ordinances, and company policies. The alliance was convened by the National Council for Occupational Safety and Health (National COSH), the nation’s leading grassroots advocate for workplace safety. The Our Turn initiative, said Martinez, will build on the decades of experience engaging workers as leaders, united with labor and community allies, in organizing and winning critical safety protections in workplaces and public policy arenas across the country. The new coalition will mobilize members and allies to promote workplace organizing, legislative advocacy, and hands-on training and also serve as a national clearinghouse for best practices and policies to prevent workplace sexual violence and abuse. For more information, visit OurTurnatWork.org. Worksafe is a California-based nonprofit organization dedicated to protecting people from job-related hazards and empowering them to advocate for the right to a safe and healthy workplace. For more information, please visit worksafe.org. Follow us at Worksafe on Facebook and @WorksafeCA on Twitter.